Throughout the holiday weekend donations came in steadily at the registers and via our web site to aid those affected by the tornadoes. Your donations will be sent to our partner in Oklahoma City, Mann’s Best Friend (a Red Cross drop off point) for distribution. Donating is as easy as a few clicks—please visit our website at www.endoftheleash.com/donations. Countless networks have been set up to help care for injured pets, Facebook sites and lodging for pets waiting to be found by their people, shelters for people to keep their pets safe while they rebuild, vets donating their time with limited supplies and space….there are so many opportunities to help. We are humbled to play a role in one small part of the recovery. Thank you all for your generosity, as it will take these communities a long time to recover from the widespread devastation. Click Duncan’s photo for his complete profile at petfinder.com!Duncan from HAWS is featured here this week. I’m Duncan and I am sort of worried. 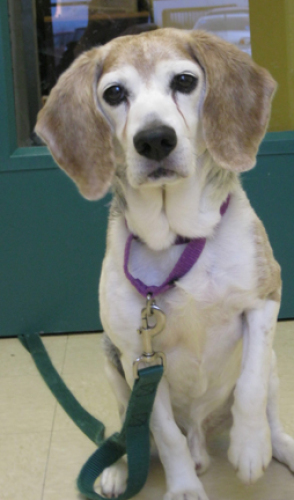 You see, I am a ‘senior’ Beagle, 11 yrs old to be exact, and I am competing with some younger Beagle ‘pups’ here at HAWS. I have lived with cats and dogs in my other home, but I really, really prefer to be an only child. Cats stress me out and MAYBE I could live with another calm dog, but we will have to see about that. I probably shouldn’t live in an apartment or condo because, like a typical Beagle, I do some Beagle ‘whooo whoooo…ing’. You know that yodel we sometimes do! Anyway, I would love and adult to live with; maybe some retired people that will have a lot of time to spend with me. I am very sweet and deserve a great home for the rest of my life! Adoptable dogs and cats will be at the store Friday, June 7th and Friday, June 21st from 11am-3pm. 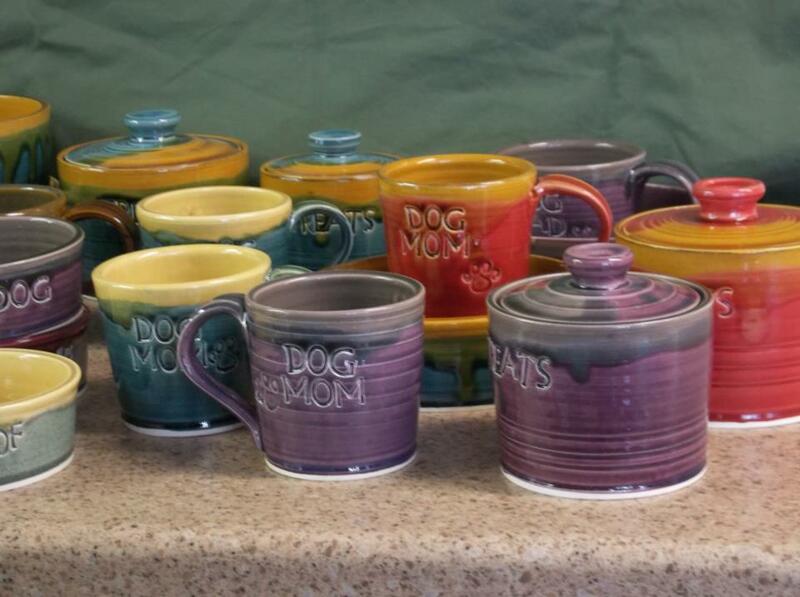 We’ve got mugs, treat jars, bowls…stop in to check it out! These gorgeous, locally made pottery pieces are available at both of our store locations. Tornado Relief--How You Can Help!